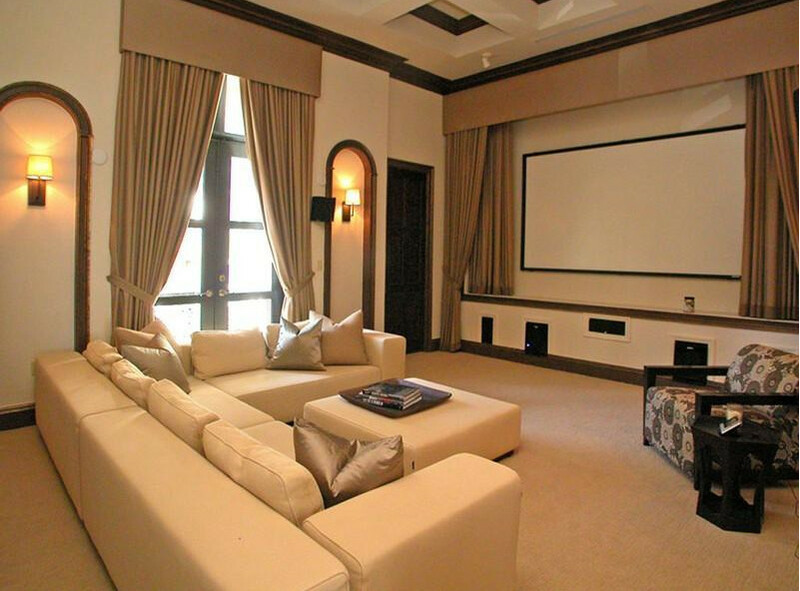 A media room with long curtains and a large floor to ceiling glass window is so classy and beautiful. And white modern sofa sets are strategically placed facing the flat screen TV area that has a storage bench underneath it and two long curtains on either end. Yellow light placed in two U-shaped sections next to each window curtain brightens up your room and the small, flowered sofa is well picked for the larger white sofa set and table.